Featuring a fun tropical print your little one will love, shop Baby Noomie’s flamingo kids’ clothes. From front-snap footies and two-piece PJs to cute rompers, we offer styles for every little girl. 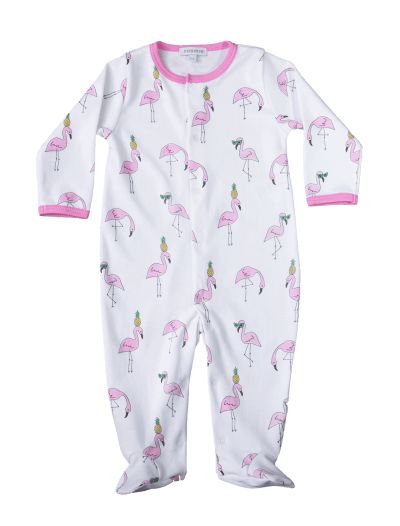 We craft our flamingo print baby clothes from Pima cotton, a hypoallergenic material that’s cozy and soft to the touch but offers maximum strength. 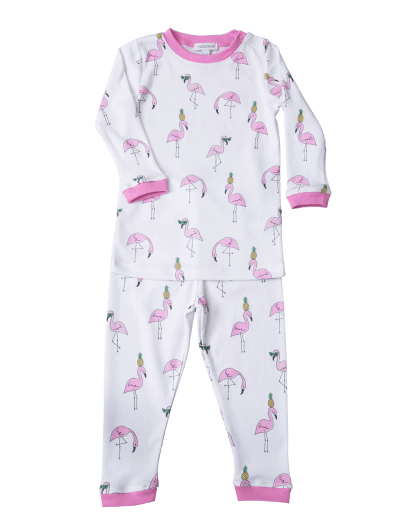 No matter what your girl is up to, our flamingo print baby clothes’ fabric stays intact and move along with her. With Baby Noomie, your little darling will be ready for each new day! Browse our wide selection of soft and comfy flamingo kids’ clothes today.